Virgin Galactic has unveiled an updated version of its commercial SpaceShipTwo craft, the Virgin Spaceship Unity, which will begin renewed testing in California and New Mexico following a fatal crash in 2015. Virgin Galactic owner Richard Branson said the spacecraft comes with "new bells and whistles" in a promotional video, though the company was vague about how the new plane's technology differs from SpaceShipTwo. 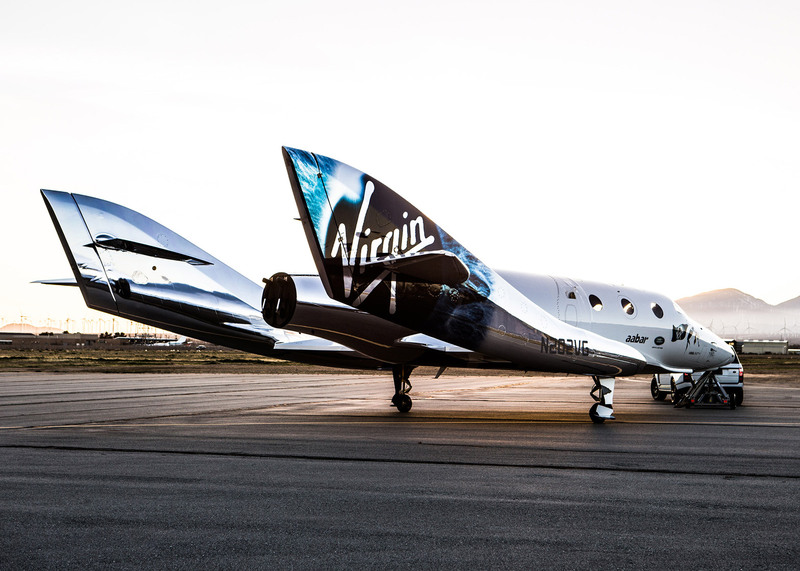 Virgin Spaceship (VSS) Unity features a new silver and white livery, and is the first vehicle to be manufactured by The Spaceship Company – Virgin Galactic's own manufacturing arm. "Together, we can make space accessible in a way that has only been dreamt of before now, and by doing so can bring positive change to life on Earth," said Branson. "Our beautiful new spaceship, VSS Unity, is the embodiment of that goal and will provide us with an unprecedented body of experience which will in turn lay the foundations for Virgin Galactic's future." Nobel-prize winning physicist Stephen Hawking gave the craft its name, and said: "I would be very proud to fly on this spaceship" in a recorded speech played during the unveiling event in Mojave, California, yesterday. First revealed in 2008, SpaceShipTwo was designed to carry six passengers and two pilots for short flights into space. The passenger craft is brought to high altitude by another plane, called WhiteKnightTwo, which then drops SpaceShipTwo at approximately 50,000 feet (15,240 metres). The pilots aboard SpaceShipTwo then fire a rocket to carry the dislodged craft into the edge of the atmosphere. Passengers will experience about four minutes of weightlessness, and look back at Earth from approximately 45,700 metres above sea level. SpaceShipTwo broke the sound barrier during a successful flight in 2013. In December 2015, a test flight of the space plane departed from the Mojave Air and Spaceport. Soon after igniting its rocket, the craft broke apart in midair and crashed, killing the co-pilot and severely injuring the pilot. The National Transportation Safety Board in the US attributed the crash to human error, something they faulted Virgin Galactic for not anticipating as a possibility. Acknowledging the crash, Branson said the unveiling was the start of a new chapter for Virgin Galactic. "We're very much looking forward to starting the test program and getting back on track," Branson said in a preview video. Virgin Galactic has been quietly moving ahead with their plans for commercial space flight. Earlier this year, the company unveiled one-piece pilot uniforms by fashion designer Yohji Yamamoto's Adidas-owened label Y-3. In 2011, Foster + Partners completed a spaceport in New Mexico from which Virgin Galactic, and possibly other carriers, will eventually run its flights.